I was so excited when I finally got this together. 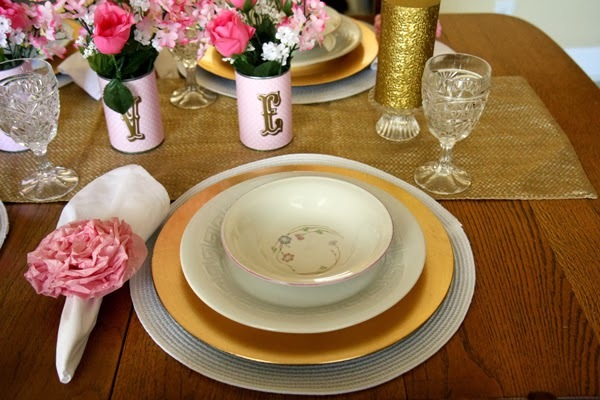 I wasn't sure how this was going to turn out but I knew I wanted to use gold and pink just to tone things down from the red and hot pink on the mantel and entry vignette. I had this centerpiece idea as a starting point as well and wanted to make my own version. Here's the other. 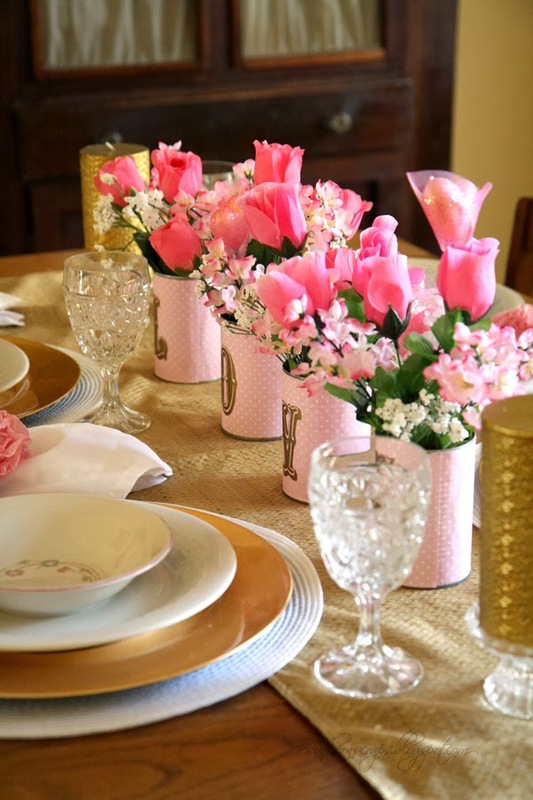 I filled the cans with artificial roses, lilac, and baby breath from the Dollar Tree. 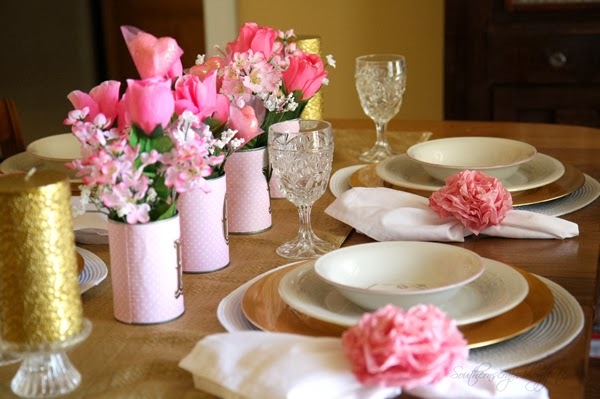 I didn't really have much pink for my tablescape so I had to create the pink accents. I did find some stoneware bowls with a darling flower and pink edge at the thrift store for 50 cents each. 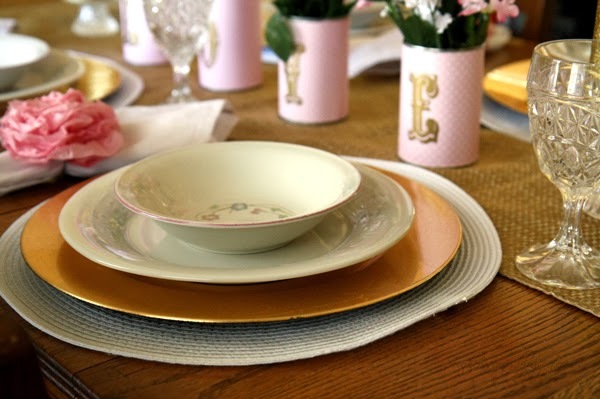 I think they go well with my white plates and gold chargers. 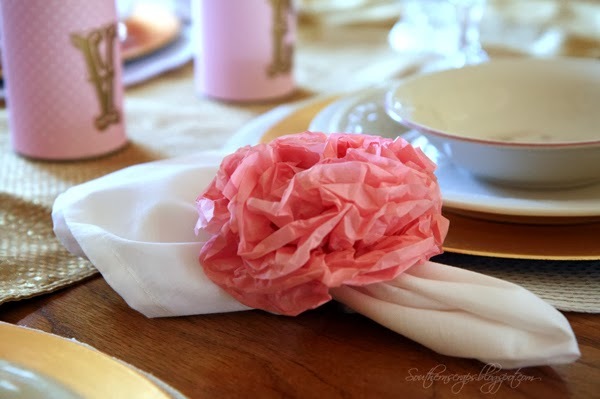 To keep the pink going, I made some pom pom flowers out of pink tissue paper and used them for napkin rings. Hope you enjoyed the scenery and I wish you lots of love tomorrow on Valentine's Day. 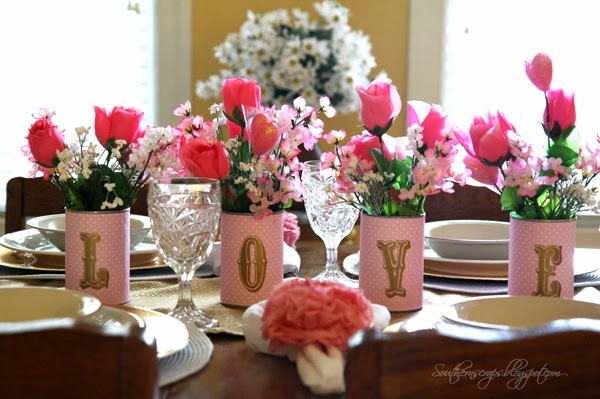 Your "LOVE" vases are adorable! You are quite the flower arranger, too. 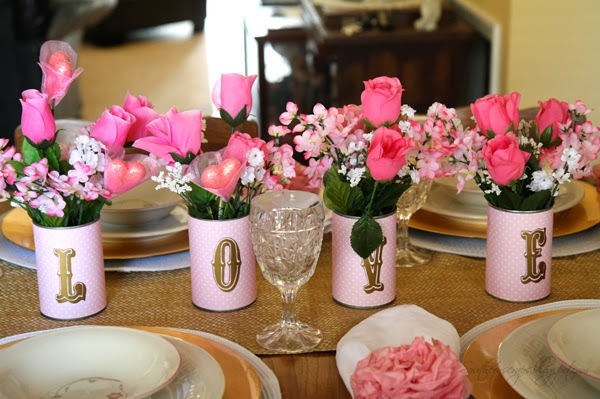 Your table is so cute and I love the way you snuck in all the hints of pink. Happy Valentine's Day! 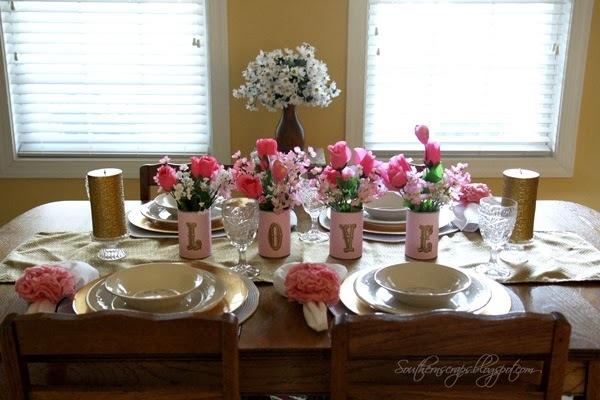 How lovely, adore the love vases - clever idea!